Here at Britannia Skips, you will see that we have a range of sizes, from just 4 yards to those that are three times the size, which is what you have with this 12 yard skip. 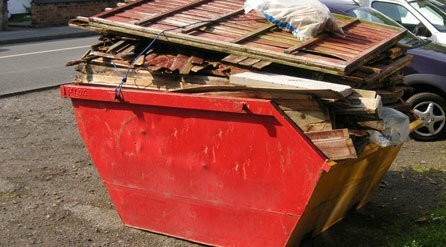 Like the 10 yard skip, this option is only suitable for light-weight waste, such as clearing houses, or large building jobs. It is not for use when getting rid of heavy materials like earth and concrete – the maximum size for this would be the 8 yard skip. The 12 yard skip is ideal when you have a lot of waste to shift, and you need that bit of extra space. At 12 cubic yards (9 cubic metres) it fills the equivalent of 160 to 180 bin bags of rubbish. Its dimensions are 79 x 67 x 72 inches, measuring 12 inches higher than the 10 yard skip. Simply make a call to hire this skip and you could receive it later that day, with our same day delivery service. If you’re not 100% sure and would like to discuss your project, we are also able to advise you which skip size best suits you, whether a domestic or building project. Not only do we provide you with excellent customer service, we can also help you with obtaining the necessary council permit for your skip. Our experts are fully trained and able to support you with whatever questions you may have about your skip hire.